Options traders are bracing for a giant move in Twitter Inc. shares after the company reports earnings Wednesday. Twitter is scheduled to post fourth-quarter results after the bell. Shares have cruised to all-time lows in recent sessions, bringing the 2016 loss to a whopping 38%, as of Tuesday’s close. The options market is pricing in an 18.5% move in Twitter shares in either direction through the end of the week, based on a strategy called a straddle, according to Trade Alert. A straddle involves buying a call option and a put option at the same strike, near the current price of the stock, in order to bet on the size of the move instead of its direction. Twitter shares have swung roughly 13% on average after its last four reports. The company went public in November 2013. A call option grants the right to buy shares of the underlying stock at a certain price, called the strike, by a specific time. A put confers the right to sell shares. And some investors are betting that the swings won’t subside after the company’s fourth-quarter report. 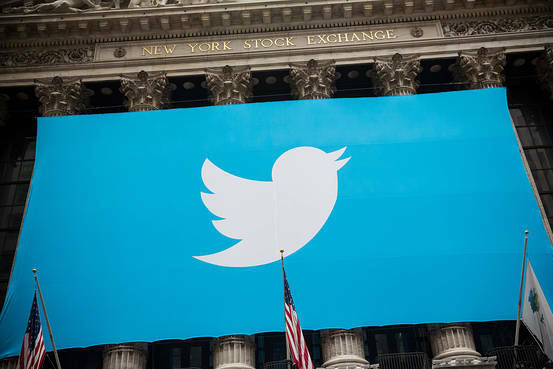 Twitter has the highest 30-day implied volatility ahead of an earnings report, according to Brian Overby, senior options analyst at TradeKing Securities LLC. “It looks like the nervousness is still in the market,” he added, referring to Twitter. Recent options activity also underscores the bearish sentiment surrounding the stock. The Twitter option that traded the most Tuesday was a put with a strike of $12 that expires in March. A majority of those puts traded near the asking price, suggesting that they were bought for protection against further declines. Twitter shares fell 3.4% to $14.40 on Tuesday.